A new and improved experience coming this summer! Tired of surprises? Get a Bank of Akron Visa® and feel confident that you are getting a good deal, with no hidden fees. 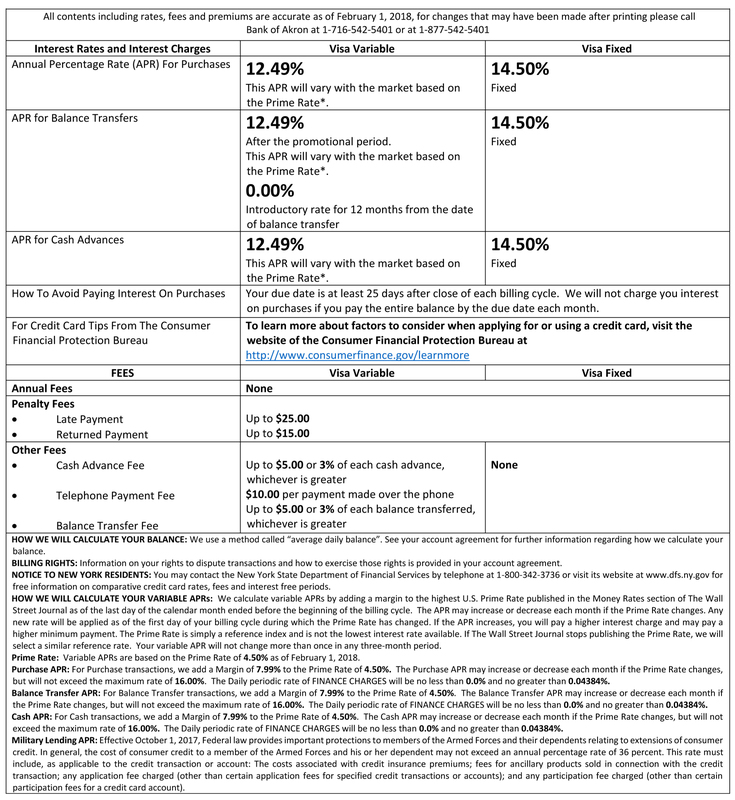 1 See credit card pricing information for complete terms and conditions associated with Bank of Akron Visa card. 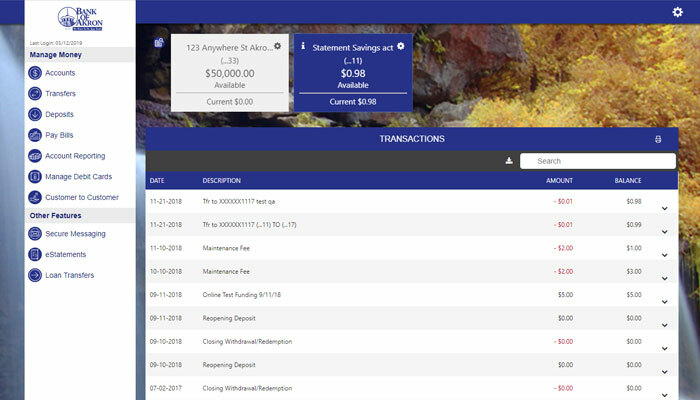 Manage your account online with MyCardStatement. It's easy to register! Locations close to where you live, work, and play. Question or comment? We want to hear from you. © 2019 Bank of Akron. Portions copyright Kasasa, Ltd. All rights reserved.